LOVE's Haven: CHINKEE TAN Live in CdeO! CHINKEE TAN Live in CdeO! 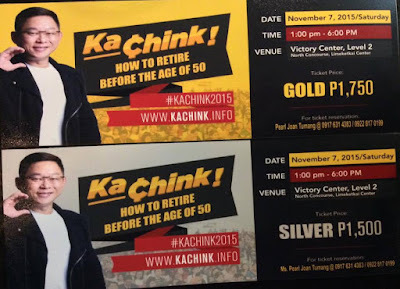 To those of you who doesn't know who Chinkee Tan is, he is a Filipino Motivational Speaker, Inspirational Speaker, Radio and TV personality, a Wealth Coach and a Best Selling Author of "Secrets of the Rich and Successful", "How I Made my 1st Million" and 5 more other books! 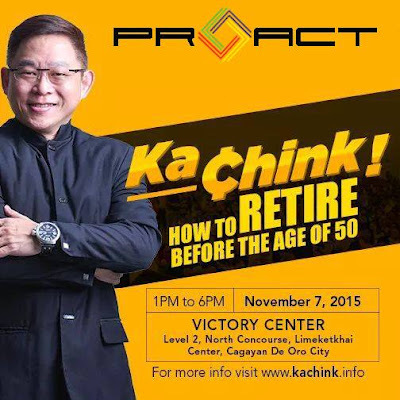 Good thing, PROACT CdO brings him back here this coming November 7, 2015! But this time around, me and hubby would not let the opportunity pass by without hearing his wisdomful thoughts and tips of becoming a Debt-FREE and Financially FREE! So better mark your calendar on November 7, 2015 (1PM-6PM) at Victory Center Limketkai Mall! 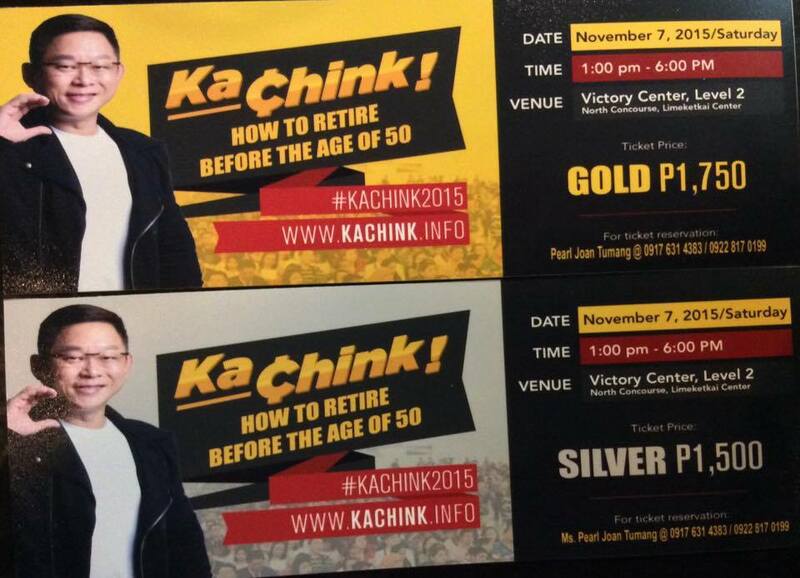 See you all there for the "KaChink! How to retire before the age 50" and save the date! Go and get your tickets now, limited seats available!